Welcome to episode 17! I have probably never met you before, but I’m glad you are listening. Thanks for your support. As a thank you to all of you who are downloading, listening and sharing I’m going to offer a small giveaway for the holiday season / end of 2018. I’ll share the details about that at the end of the episode so make sure you listen to the whole thing. In this episode we’re going to see some of the top reasons for success. 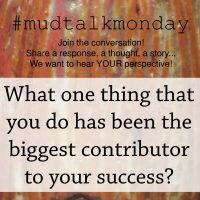 The question was “What one thing that you do has been the biggest contributor to your success?” I love this question because it really gives us some insight into what is working for somebody. I also like the phrasing because it is asking for something that you make a conscious decision about, not just something good that has happened to you or something someone else has done for you. I’ve grouped related responses together to find some common ideas or themes. The first few responses are all related because they are about the way you work. So here are some things that you do that really contribute to your success. Jeffszarzi Incorporate my drawings on my pottery. Ebboren Keep my hands on the wheel when I start centering! Angelagrahampottery Repetition and sticking with my gut, if I think it will work, it might not at first. But stick with it! Earthartam Because I love what I do doesn’t mean it’s a hobby. It’s a full time job with regular hours. Be dedicated to it! These kind of responses seemed to be the most popular. And for good reason. Most people that find success have to work at it. Working hard can help you overcome other faults or setbacks. Sweetpixels_thesudsypotter Accepting that I’m not perfect and learning not to compare my work to others in a negative light. I make art and art is subjective someone somewhere is going to love what I create. Claybylaura relax and listen to/trust my own (creative) inner voice. It seems like a lot of us don’t have enough confidence in ourselves at times. I know I’ve struggled with fear of failure or rejection before. I just have to remind myself that if I don’t take chances, sure, I won’t fail, but I also don’t give myself a chance to succeed. Even if I take a chance 100 times and fail 99, that 1 time I succeed is still more success than I would have had without taking a chance at all. I put these two responses together because you need to take care of yourself. You are going to be more successful when you feel good and have the right mindset. Getting enough rest is important, whether it’s getting enough sleep at night or recharging during the day. Prayer or meditation, or whatever you need to do to get in the right frame of mind is worth the time it takes. Gxdesigns Loving the imperfections and then improving! Ana C Working hard. Improving all the time. This was one of my favorite groups of responses. I feel like having a growth mindset can really help most of us. There was only one answer in the flexibility column but I think that ability to adapt can really give us an advantage sometimes. And here are a few other responses that I didn’t categorize. Anita R Patience/Nintai/Paciencia. You gotta put in the time and work on things and not rush them…don’t expect instant gratification…expect your patience to be tried and just know you have to keep trying, you will have to do things several times before getting something that’s decent. Persevere instead of giving up and moving on to another project. Good things come with time and practice and to persevere you need patience. Man, I feel like this could be the beginning of a self help book for potters. Some of the main ideas I pulled out include confidence, dedication, work ethic, growth, flexibility, and mindset. Lots of important ideas, not just for working with clay, but any area of your life. I didn’t try to pick out any favorites this time. I mean, I love any response that identifies something that is working for you. So they are all my favorite! I did notice that there weren’t as many responses as some of the other topics and it makes me wonder why. Maybe the social media algorithms didn’t put it in front of as many people? Maybe it’s just a hard question to answer? Maybe the background image wasn’t as eye catching as some of the others. Maybe some people don’t feel successful yet? Even though there weren’t as many responses, this happens to be one of my favorite MudTalk questions so far but I have to admit that I stole it from another podcast. Jonny Nastor does a podcast called Hack the Entrepreneur which I listen to sometimes. I even stole part of my intro from his intro. He interviews people and usually asks a few standard questions, one being about the biggest contributor to each guest’s success. So thanks to Johnny! I’ll put a link to his podcast in the show notes. I’m glad I haven’t been asked the question myself because it’s hard to pick one thing. It would take some time to really think about what one thing is actually the biggest contributor. Luckily for you and me, I’ve had some time to think about it since I started looking at all the responses. It’s hard to pin down one specific thing that I do that is the biggest contributor to my success. In fact, it may actually be a couple related things. Or something I haven’t even thought about. And really, maybe the biggest contributor to my success isn’t even something I do. I mean, having a supportive family that did a fantastic job raising me is pretty important. I would say, however, the thing that I actually DO myself is that I always keep learning or growing. Maybe that is due to my drive to get better as a person. Maybe I’m just curious. I know for sure that I like to solve problems which seems to be part of the drive to learn. Some people may describe it as never being satisfied. I wouldn’t go that far for myself because I try to take the time to enjoy successes or just enjoy life in general. I think you should feel satisfied if you hit a goal or accomplish something. But I guess I do set a bigger goal or find something else to learn eventually. So I know what people mean when they say that they never want to be satisfied. 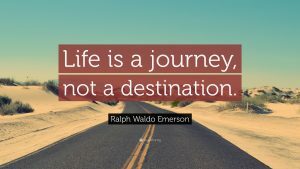 In fact, Steven Tyler once sang, “Life’s a journey, not a destination” and I agree. I don’t want to ever feel like I have arrived at a place in life and feel like I have nowhere else to go. Nothing else to learn or try. This reminds me of when a fellow potter named Scott Cooper wrote a blog post a while ago that really resonated with me. Basically, he said, “You have to be chasing something.” Just always having something to chase, a reason to get out of bed in the morning or a challenge to inspire me. That continued learning has helped me develop my personal style and then keep evolving as I try new things. In just the last year I’ve learned how to create a podcast, learned how to mine cryptocurrencies, learned how to trade currencies, trained for and ran my first 10k race, set up an ecommerce store, tried a couple different techniques in the pottery studio and have added a few new forms to my inventory. When trying each one of those things I started with the mindset that I’m not going to be very good at the beginning but if I can keep improving, I may figure out how to get good at it. Then… As I was reading through the responses from everyone else I had an epiphany. It really depends on how you define success to figure out the things that make you successful. So maybe I should have asked that question first, how do you define success? 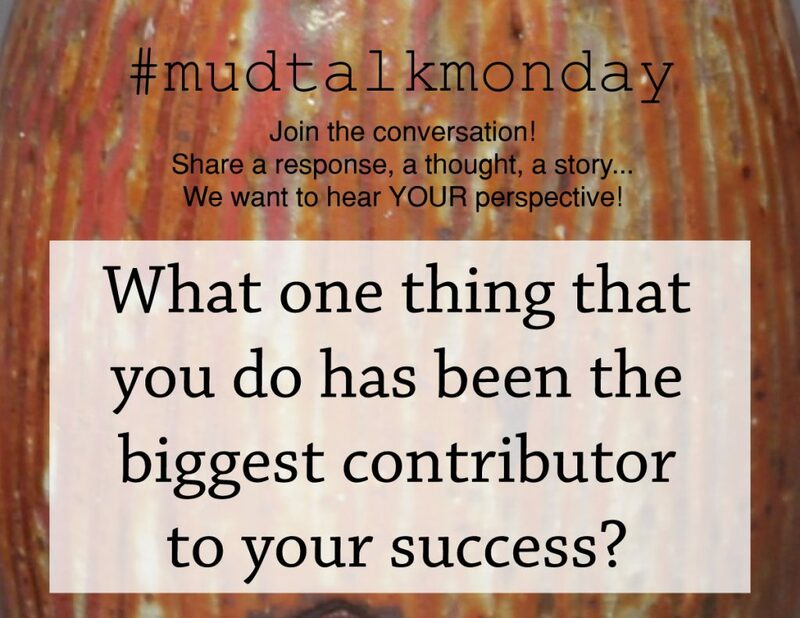 Perhaps you’ll hear this question on the next MudTalk Monday! So anyway, I feel like I’ve rambled on enough, let’s get to the fun stuff. I’ve decided to have a small giveaway for the listeners of the MudTalk Podcast to show my appreciation. I started this podcast really as an experiment and a learning experience. And then people actually started listening to it! So thank you! The winner of the giveaway will get their choice of one T-shirt from potteryshirts.com. As you may know, this is the site I started to sell shirts I’ve designed. There will be two ways to enter. First, you can go to expertclay.com/mtp and leave a written or audio message. It can be a response to one of the topics we’ve covered on the podcast or a future topic, or feedback about the show or a question about the show or myself. The second way to enter is to complete a short survey about potteryshirts.com. Go to https://expertclay.com/giveaway to complete the survey. Basically, help me with a little market research so I can improve potteryshirts.com. If you do both, you will have two entries. You can enter any time during 2018. I’ll draw the winner sometime by January 7th and contact them by email. If that person doesn’t respond in 7 days I’ll draw someone else. This is for the listeners of the MudTalk podcast so I won’t post it anywhere else except for the show notes on expertclay.com. But feel free to tell other people about the podcast if you think they would be interested in participating in the giveaway. So I hope this is a fun opportunity. I wish I could send everyone a shirt to show my appreciation but we don’t have the budget here for that quite yet! Our next episode will be about balancing your time. This will be great especially for me as I keep trying to learn so much! Look for that episode around the first part of December. Until then, keep doing those things that make you successful and stay muddy.